This one-time outpatient radiosurgery treatment is often an excellent alternative to complex surgical procedures requiring lengthy hospitalization. Candidates for radiosurgery include patients with arteriovenous malformations, acoustic schwannomas, meningiomas, pituitary tumors, metastatic tumors, gliomas, and other brain lesions. Patients who choose radiosurgery will benefit from groundbreaking innovations developed by UF’s Department of Neurosurgery, which have now become global standards. The UF radiosurgery team currently includes two neurosurgeons (Dr.William Friedman and Dr. Kelly Foote), two radiation oncologists (Dr. Robert Amdur and Dr. Anamarie Young), a radiation physicist (Dr. Frank Bova), a physicist (Dr. Didier Rajon), a computer scientist (Russell Moore), a dedicated patient secretary (Fran Anderson), as well as doctoral students, residents and medical students performing research projects. In 1985, the UF team decided to implement radiosurgical capability at the University of Florida Shands Teaching Hospital. After reviewing the technology available for radiosurgery planning and radiosurgery treatment, the UF team decided to develop an entirely new approach to radiosurgery, using the linear accelerator as the source of radiation. A new mechanical system to improve accurate delivery of radiosurgery treatment, as well as the first true dedicated computer dosimetry program dedicated to radiosurgery optimization, were created. The University of Florida subsequently patented this new approach to radiosurgery planning and radiosurgery delivery, which has become one of the most popular commercial radiosurgery systems worldwide, known as the Linac Scalpel. The UF Radiosurgery team has developed a customized computer database which enables them to carefully track each of the over 4,600 patients treated clinically with radiosurgery at the University of Florida. A full time database coordinator insures that appropriate follow-up information is available on each radiosurgery patient. This database has facilitated the continuous improvement of radiosurgical treatment at UF and has served as the substrate for over 150 published articles, chapters, and books on stereotactic radiosurgery. the development of new tools for automatic multiple isocenter radiosurgery. the development of a standardized “index” for judging the quality of radiosurgery plans. the development of systems for using radiosurgical technology to treat extracranial tumors (i.e. spine, liver, prostate). the development of a highly conformal intensity modulated radiosurgery. 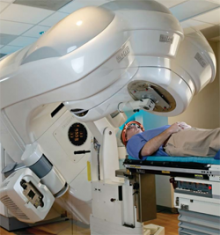 The UFBI Radiosurgery/Radiobiology Laboratory includes a dedicated research linear accelerator. 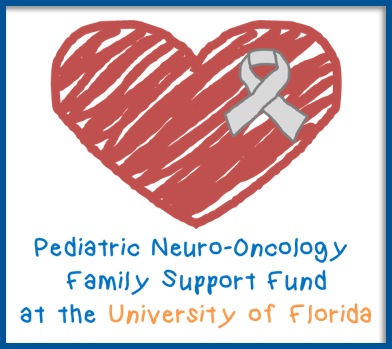 For more information about Radiosurgery at The University of Florida please call us at (352) 273-9000.